MAPA code for R is available on CRAN. An online interactive demo of MAPA can be found here. Here is a quick demonstration what you can do with the code. The easiest way to produce a forecast with MAPA is to use the mapasimple function. In this example I also used paral=2. This creates a parallel cluster, executes mapasimple and then closes the cluster. If you already have a parallel cluster running you can use paral=1. Using functions mapaest and mapafor I can have a more detailed control of the estimation and the forecasts across the different levels of temporal aggregation. 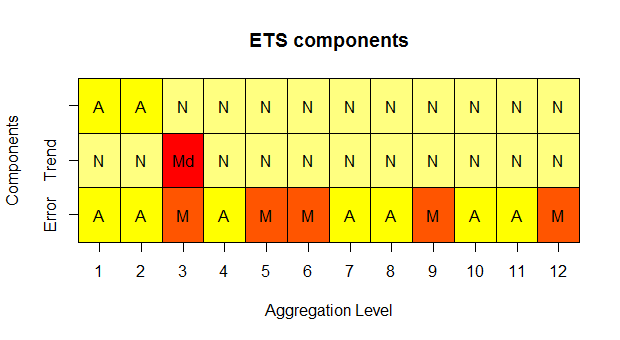 The first function estimates the model fit at each temporal aggregation level and also provides a visualisation of the identified ETS components. 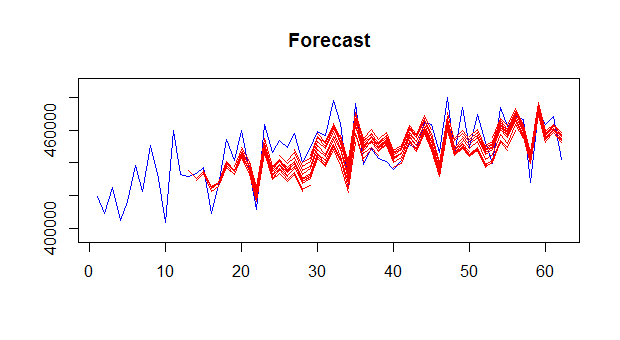 The second function provides in- and out-of-sample forecasts. By default only one step ahead in-sample forecasts are given. I can stop plotting the output by setting outplot=0 in any of the above functions. The functions have are several more options, allowing you to set the maximum temporal aggregation level, the type of MAPA combination, etc. Finally, the function mapa is a wrapper for both mapaest and mapafor, so these can be run with a single call. 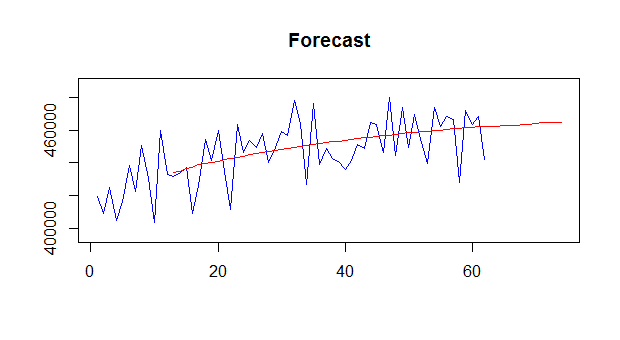 A nonseasonal damped trend model is fitted to the time series in this case. Since MAPA can no longer change between models and choose a simpler one, it is possible that the preselected model will have too many degrees of freedom for the aggregate version of a given series. In this case no model is fitted. Furthermore, if a seasonal model is selected, for any aggregation levels with non=integer seasonality a non-seasonal version of that model will be fitted. For more details about the Multiple Aggregation Prediction Algorithm (MAPA) look at the this post. Update: The MAPA package now allows modelling high-frequency time series and include regressors (MAPAx). You had mentioned in your paper that MAPA technique can be used for intermittent demand. 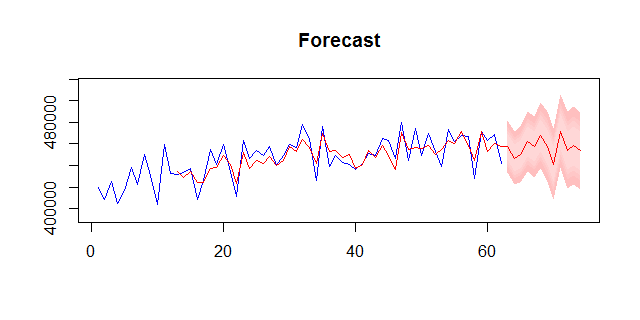 I wanted to know, can MAPA R package handle intermittent demand forecasting? Indeed MAPA can handle intermittent demand. However, the MAPA package does not call intermittent methods to produce forecasts. You can use the tsintermittent package for R and the function imapa for this purpose. Alternatively the thief package might be helpful, which can accept any type of forecast and perform multple temporal aggregation. Relatively high frequency data is a quite interesting problem! With MAPA the usual route would be followed, i.e. start from the most highest frequency time series and let the algorithm do the rest. However you would need to switch to “w.mean” or “w.median” for the combination type – these handle better high frequency time series. MAPA would consider all possible aggregations till the annual level (as defined by the argument ppy). 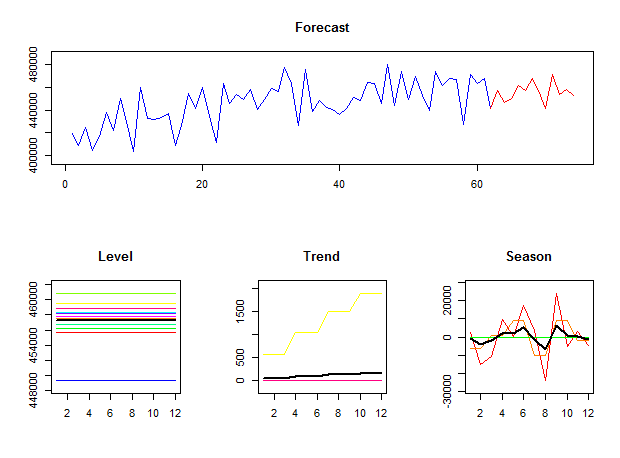 If you would use Temporal Hierarchies (thief package in R), then it really depends how you encode weekly seasonality. Suppose you use a 4-4-5 calendar (weeks in the months of a quarter), resulting in a fixed 52 weeks annual seasonality, then thief would work fully automatically, but it would skip the monthly level, but use a quasi-monthly level! See the interactive diagram here to see exactly which aggregation levels would be considered. 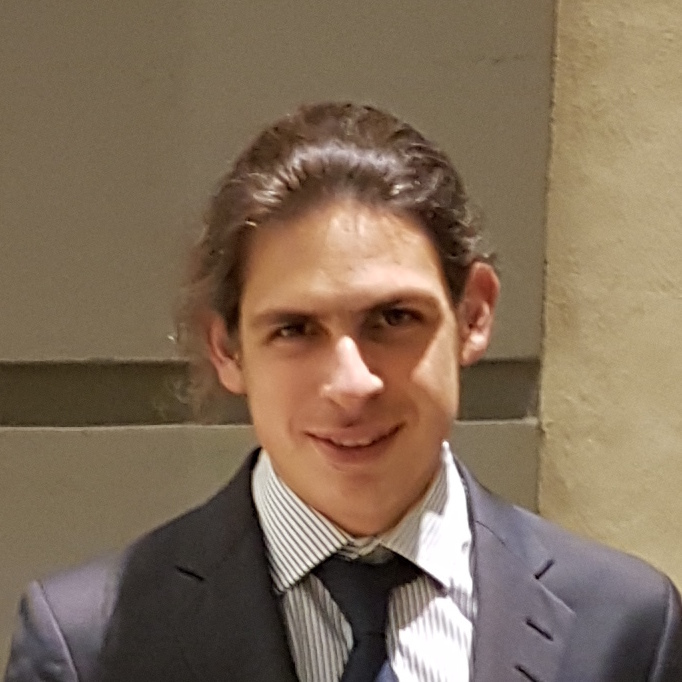 If you do not follow a 4-4-5 calendar and you would have a variable number of weeks in a year, then you would need to manually encode the aggregation rules, which would make it substantially more complicated – but also very hard to model, even at the original weekly data with no temporal aggregation. The forecasts you would get from either MAPA or Temporal Hierarchies would be at a weekly level, but would include all the information from the most aggregate levels. If you would like to constuct the forecasts at the monthly level then you would need to do that by calling function tsaggr (MAPA package) or tsaggregates (thief package). Kourentzes N., Petropoulos F. and Trapero J.R. (2014)”. i am not sure what is missing. I have the data(MTM) in TS format uni variate TS(monthly) around 60 observations. Can you help me in using it?